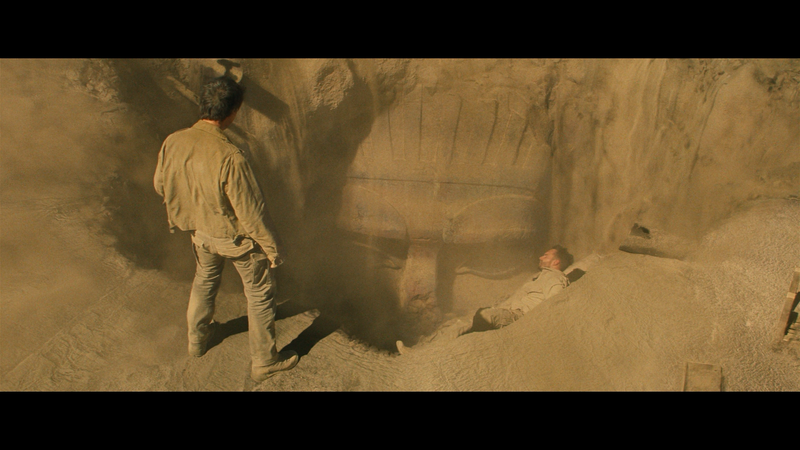 I didn’t feel The Mummy was a bad movie but worse yet, a completely forgettable one. 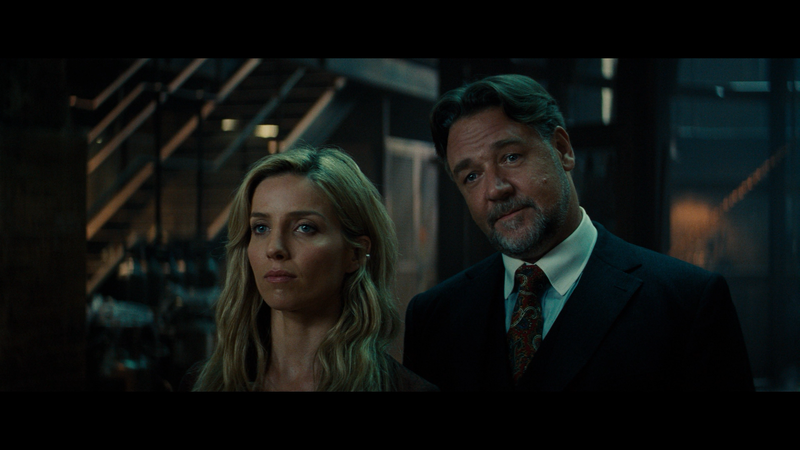 Tom Cruise never really felt at home, Annabelle Wallis was rather bland in the female lead, Russell Crowe unremarkable in a forced appearance as Jekyll/Hyde and Sofia Boutella makes for a hot mummy, but not very threatening. Another decade and another attempt by Universal to resurrect, so to speak, The Mummy franchise with the extra benefit of prematurely building a “Dark Universe” joining Marvel and DC. And for all the problems the latter has had with the world building, at least you can give a damn one way or the other, this however was an auspicious start as this incarnation was completely forgettable. The Mummy is set in the modern day focusing on Nick Morton (TOM CRUISE), a soldier and all around scoundrel and thief who, with fellow soldier Chris (JAKE JOHNSON), traipse across Iraq looking for artifacts to “acquire”. Their latest takes them to an occupied village and after receiving heavy gunfire, Chris wisely calls in air support which bombs the area, opening a hole. It turns out they found out this location thanks to a map Nick stole from archeologist Jenny Halsey (ANNABELLE WALLIS), whom he had a sexual rendezvous with. Ordered to go down into the cavern, Jenny, Nick and Chris venture down discovering many artifacts and being in a time crunch, Nick kind of recklessly sets off a pulley system that lifts a sarcophagus from a pool filled with mercury as the substance is thought to ward off spirits… or something. 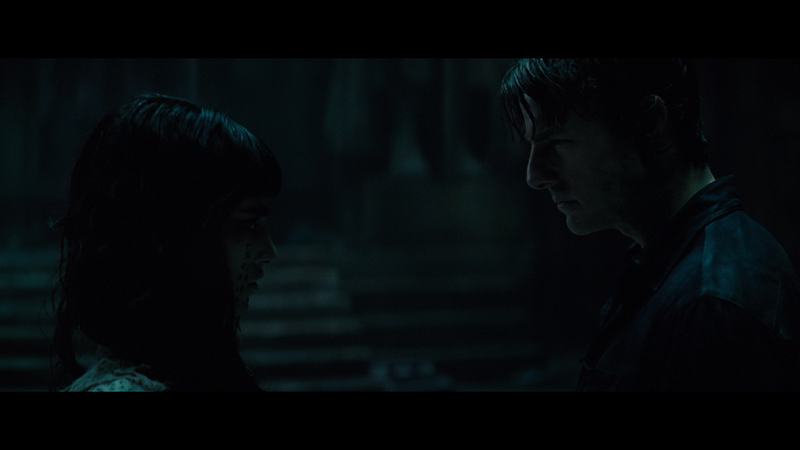 Immediately Nick begins having visions of a woman, Princess Ahmanet (SOFIA BOUTELLA), who was mummified and buried alive centuries ago after she murdered her family. Put on a cargo plane, they fly off to England, first Chris begins changing and turns on the others and next the plane is attacked by a flock of crows and starts going down. As you know from the trailers, Nick saves Jenny giving her a parachute, while he crashes with the plane. Awakened in the morgue, Nick finds himself well and alive much to Jenny’s disbelief. Soon enough he begins seeing weird things while we learn of Jenny’s true identity, working for a secret organization headed by one Dr. Henry Jekyll (RUSSELL CROWE) and after a brief encounter with Ahmanet, who is captured, Nick is taken to London where this organization is located and gets a lay of the land and where Jekyll explains the situation and reveals Nick is cursed and Ahmanet needs him to be the vessel for true evil, visa vi a dagger with a previous stone. Now Nick and Jenny must outrun Ahmanet, as well as avoid Jekyll’s worse half, before Ahmanet gets her way and evil is unleashed on our world. Or something along those lines, again, forgettable movie and I kind of stopped caring after the first act. I can’t say I was disappointed with The Mummy (the 2017 edition) as I went in with neither low nor high expectations. And when the movie was over? I kind of shrugged my shoulders and moved on, partially focusing on the college football games going on… This isn’t a ‘bad’ movie per se yet there is absolutely nothing memorable either from the visual effects which were fine or characters that were rather boring. I normally like Tom Cruise movies, even his poorer ones (Mission: Impossible II comes to mind), but I’m not sure if I’ve ever seen him appear so disinterested. Sure, he probably put his heart into training for the role and all, but he seemed so out of place in this universe. Add to that, he and Annabelle Wallis shared zero chemistry with one another which is slight problem considering their relationship is key for his motivations at the end. Meanwhile, Russell Crowe didn’t get a whole lot to do except expound some exposition and made for such a weak Mr. Hyde, hell the Hyde from Van Helsing was more impressive for god’s sake. Jake Johnson for his part was an annoying comedic relief/undead guide(?) and Sofia Boutella – the ‘it’ girl of late (Kingsman, Star Trek Beyond and Atomic Blonde) – as the titled Mummy has a creepy look but she’s no more or less a threat compared with Arnold Vosloo in the 1999 version. The Mummy was directed by Alex Kurtzman, whose mostly known for writing and producer (like the J.J. Abrams’ Star Trek reboot and the Transformers franchise), and this sophomore effort, the last was 2012’s dramedy People Like Us, isn’t very good, not only because the writing isn’t good but the pacing felt off from the beginning and when you can’t even make Cruise running from a sand monster or fighting Mr. Hyde that interesting, you’re doing something wrong. I mean, it’s one thing to properly frame shots, it’s another to make the action actually exciting. In the end, this was a poor opening of the “Dark Universe”, arguably the second misstep after 2014’s Dracula Untold did poorly critically and a so-so box office ($217M worldwide). 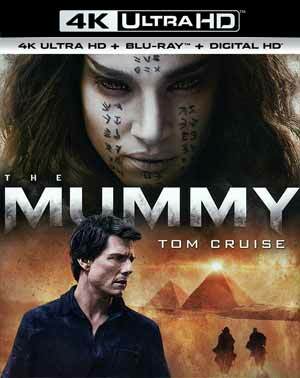 This one faired a little better ($407M WW) but mostly on Cruise’s name than any vested interest in another Mummy movie. Honestly, not sure where this universe goes from here, but the studio needs to step up their game (the next propose entry is Bride of Frankenstein). This one was a bit of a dud even if it wasn’t horrible. This release comes with a (slightly) title-embossed slip cover. Inside is the redemption code for the Digital HD copy as well as the Blu-ray Copy. All told, there is 68-minutes worth of featurettes. Deleted and Extended Scenes (4:52; HD) – Only four scenes included here, nothing all that noteworthy. Cruise & Kurtzman: A Conversation (21:15; HD) – The star and director converse about their working relationship and on the project. Rooted in Reality (6:52; HD) looks at the approach to this new version with interviews by the cast and crew (Cruise, Kurtzman, producer Chris Morgan, etc). Life in Zero-G: Creating the Plane Crash (7:32; HD) – This breaks down how the crash sequence was accomplished. 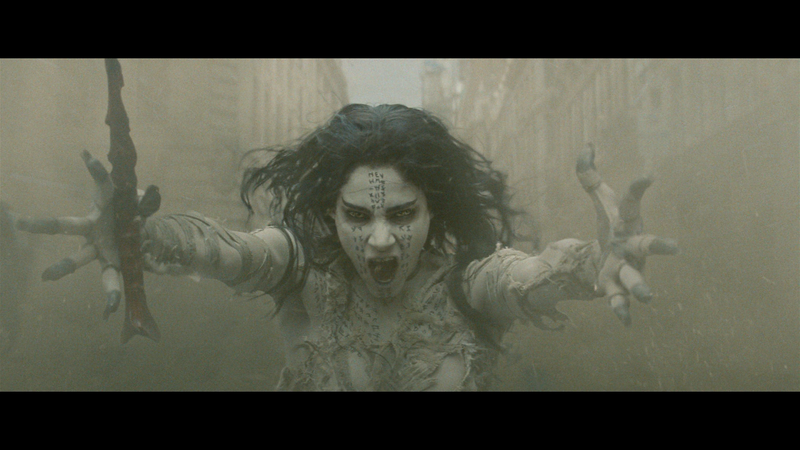 Meet Ahmanet (7:39; HD) introduces us to actress Sofia Boutella, the newest Mummy. Cruise in Action (6:09; HD) has the filmmakers and cast singing the praise of the star actor and what he brings to the film and Cruise himself talks about the challenges for the role. Becoming Jekyll and Hyde (7:10; HD) looks at the casting of Russell Crowe in the iconic dual role. Choreographed Chaos (6:35; HD) examines the action and stunt work, particularly the sandstorm attack in London. Nick Morton: In Search of a Soul (5:43; HD) is about the character’s evolution from beginning to end. Last up is Ahmanet Reborn Animated Graphic Novel (3:52; HD). The Mummy rises onto 4K presented in its original theatrical 2.40 widescreen aspect ratio and given a 2160p ultra high-definition resolution (HEVC/H.265 codec). I can’t quite say this is the best 4K title I’ve seen or even top 5, but this still does looks quite good with incredibly sharp detail, nice dark levels which don’t appear overly crushed while still being able to discern objects in shadows, and no signs of banding or other flaws. 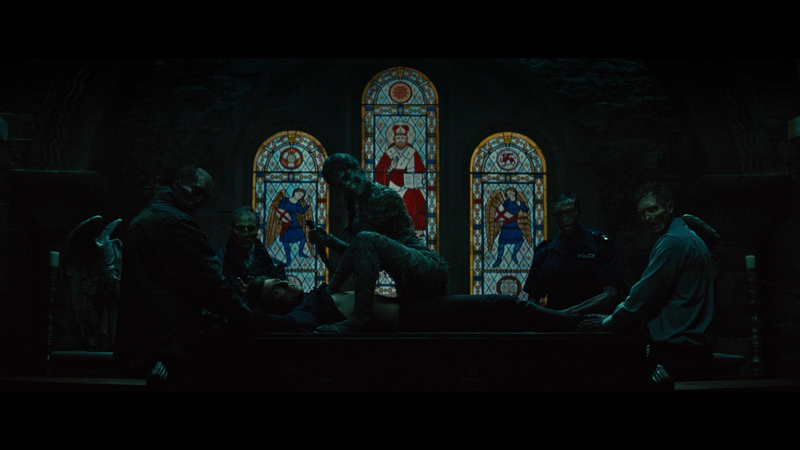 As for the HDR and colors, there are some nice pops here and there (like the dagger’s red stone), but since a fair amount of the film takes place either at night or in darker locations, I didn’t expect an incredibly bright movie, but skin tones look natural. The Blu-ray in the meantime looks good as well. The detail might not be as sharp in comparison, but it’s still fine and colors are generally bright particularly during the daylight scenes. If you’re not on the 4K format, this 1080p transfer (MPEG-4 AVC codec) still is good looking. Both the 4K and Blu-ray discs come with Dolby Atmos tracks (as well as French and Spanish DTS 5.1) and I actually wasn’t blown away by this. Sure, it does sound great at times providing for clear dialogue levels but when the action picked up, I felt the depth was a bit lacking and even the LFE was on the limited side. Even so, the balance is good with nice distribution across all the speakers. 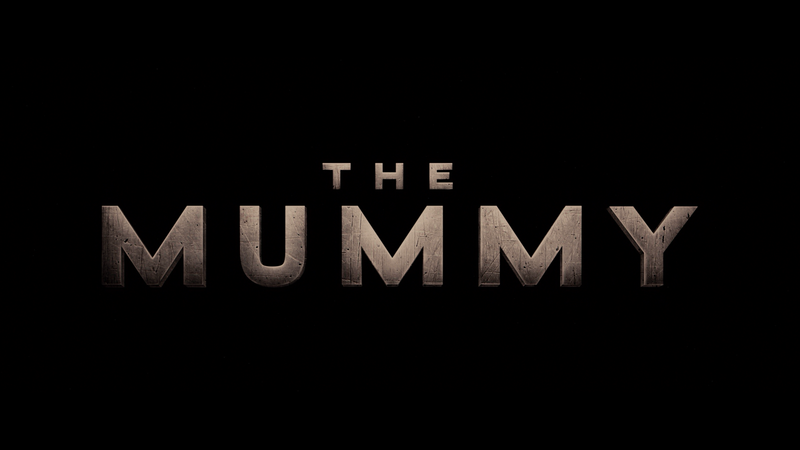 Overall, I didn’t feel The Mummy was a bad movie but worse yet, a completely forgettable one. Tom Cruise never really felt at home, Annabelle Wallis was rather bland in the female lead, Russell Crowe unremarkable in a forced appearance as Jekyll/Hyde and Sofia Boutella makes for a hot mummy, but not very threatening. This isn’t a good start for Universal’s Dark Universe so hopefully the next entry will right the course. The 4K UHD release offers up great video and audio transfers and there is a nice selection of special features.